This is the first in what may become an irregular feature. The premise is simple, an orienteering friend comes to stay and we talk into the night about orienteering. 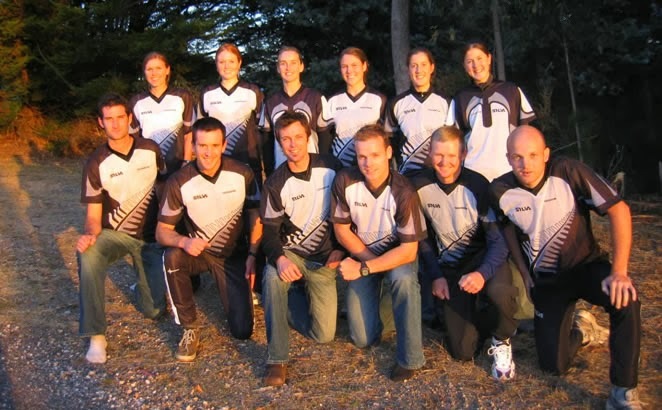 They may or may not be world famous in New Zealand orienteering. 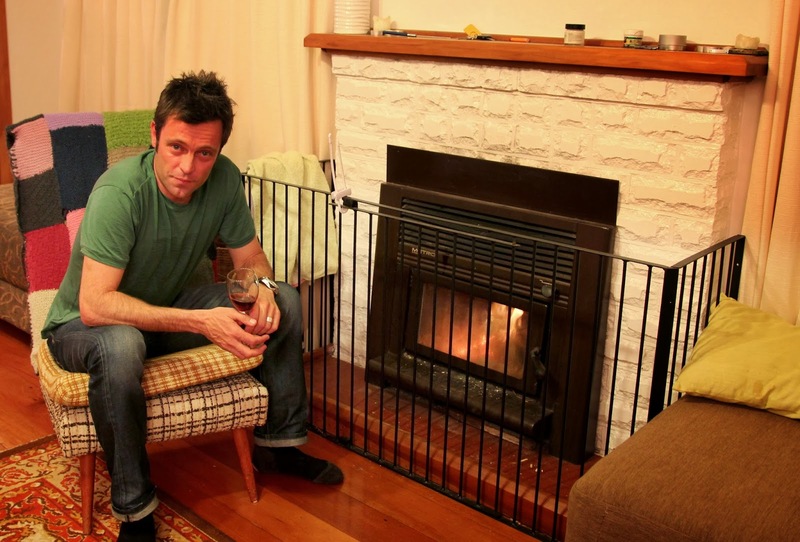 Darren, thanks for passing by, its good to have you by the fire. You mean recently, or in life? We’ll get to life later..
Down south running the Get2Go series for my employer the Outdoor Pursuits Centre. It is year number seven of that project, its going well. (the Get2Go) is a junior version of the Hillary Challenge another of Darrens initiatives. Lets talk O, I was thinking the other day about your first WOC...1993 USA correct? Yeah if I did make the team this year it would be 21 years since my first WOC…although it would be quite different running in a "sprint team". USA must have been quiet a memorable WOC? America is just like it looks on TV, the terrain was quite different, we had short (middle) and classic, no sprint. Alistair Landel, Rob Jessop, Greg Barbour, Dave Farquhar and Me. Katie Fettes, Tania Robinson, Marquita Gelderman, Janine Brown and Alison Stone. It was a bit of an eye opener…lots of donuts, MTV (we never had that back then in NZ). Dave and I would train twice a day, watch mtv, eat donuts, freshly squeezed orange juice. Prior to WOC we had a “summer camp” for a week or so. I remember it was illegal to swim in the lakes because there were no life guards on duty. That’s right, you and Dave F were the young guns, for Dave it turned out to be his last WOC, for you it was the first of many, how many? Interesting the way things turn out. 1993 was also the first year you won Nationals in Woodhill..
What was happening at that time, were you training to be a teacher..
Yeah, that would have been my last year. I took a year off to go to JWOC in 1992. (Finland)…that was the first real taste of it all, that was a three month trip, most of it in a ford transit van with Jenni Adams, Rolf Boswell, Al Landels…we basically drove from Borlange to Hungary, Italy, France and back to Sweden, O-Ringen etc.I had a stress fracture in my shin so couldn’t run most of the time. I remember the 3rd day of O-Ringen I forgot my shoes. I took it as a sign that I should take 3 months off running. I was only 20, and I was in Europe and there were lots of hot orienteering chicks to look at, so I didn’t mind that much. When you are that young you can also learn a lot from observation. I also remember Al running really well in the World Cup races…that showed what can be done. Al was a phonemonal runner, easily the best NZ elite that we had ever had up to that point. I never went teaching fulltime, a lot of relieving , it filled the gaps between orienteering and teaching orienteering. I think I always knew a class of 30 kids inside a small room wasn’t going to work for me. It needed to be bigger…outside basically. In 1994, we had the World Cup in NZ, how did that go for you? I was 27th from memory. I was pretty satisfied. I knew a small part of the area, it wasn’t your typical woodhill. The event was bloody long and tough, the map was dodgy as. There were corridors mapped by the planners (Wayne and Trish). We all got around by the skin of our teeth. The next week we went on to a World Cup in Australia, Ballarat..
Any moments that stick in your mind? I guess back in those days we didn’t have the same knowledge of the European Scene. We looked at the pictures of Skoggsport (we couldn’t read it). It was pretty cool going to events and having conversations with Mortennson/Salmi etc. There was a bit more mystery, these days the stars seem more boring, its almost like we know everything about them. All you heard back then was how hard these guys used to train. Then you came back to NZ, How did NZ compare then to how it does now? Ahh, now we seem to be relatively comparable to the rest of the world in our use of technology, back then the sport felt very small. Now it seems less small, but I wonder if that’s because we are more competitive now. We were definitely a B nation in the 90’s, now we are more advanced. Really? Except for perhaps this year? You had a few good rivals though, during that mid 90’s period? Yeah, it was a shame that Al moved to Sweden, as he was the guy that was setting the standard. After that it became easier to win races. I remember him telling me he judged his performance by how much he won by. He was judging himself against the best in the world, rather than against the best kiwi. We always had the older guys. Dave Melrose and Rob Garden. Rob Jessop was always tough, others included Greg Barbour, Bruce McLeod. Shaun Collins, Phil Wood, even Aidan Boswell started coming into it. So of the next 4 WOCs, does anything stand out? Japan, it’s the most recent, the best team, it was great fun. The terrain wasn;t too much to write home about but it was my best results at WOC. I remember racing the Scotland middle qualifier, I was having a perfect race. I was as fit as I had ever been. I was flowing through the race perfectly. Then I had a complete meltdown on one control (seven minutes worth). I only missed qualification by seconds. It would have been cool to qualify high, but I blew it. I think from memory I just got distracted by other runners. You can see your potential, but yeah you just can’t grab it. Yeah that was 1998, we did the World Cups that European Summer, that was a great European tour, the World Cups were fun back then: UK, Slovakia, Estonia, Poland, Finland. We stayed until after the World Champs in Scotland. Scotland, that would have been an interesting year, on paper probably the strongest NZ team ever on realtively neutral terrain. I think the difference back then, with WOC every two years, most people could make themselves available every time. We always got a strong team. Now its just too hard financially, and you end up with “substandard runners” going, people who can afford to go…and I don’t think its helped our presence internationally, and hasn’t helped our elite level grow. It sends a message you don’t have to beat the World, you just have to have the money. You had a big greak between 1999 – 2005…. To be honest, it was a conscious break. I came home in 99 and had too much debt on the credit card. I had spent the 1990’s as an orienteering junkie. I decided that I wasn’t going to get in debt for orienteering. It’s the coolest sport in the world but it doesn’t pay the bills. My chosen career path wasn't that lucrative, but I didn’t/don’t work for money. Japan was close to home, and well supported. Likewisethe world games 2009. It was bloody hard sitting at home every year and watching the guys go off to WOC, knowing that I could have been in the team. But that is life and part of being involved in a small amateur sport at the bottom of the world. Yeah, Chris, Ross. Yeah its cool to see people going through and going hard, putting in more effort and getting the results. Do you think Chris has surpassed Al Landels with his results? No. The World Cup series in the 90’s was really important. You focused on it for the year. They were like World Champs races. Al performed really well in those. I also think Al was a faster runner. Chris can do well when he focuses on Orienteering, he has achieved a lot outside of orienteering, but not to my mind yet inside orienteering compared to Al. I think if you put Chris and Al together in their prime Al would probably just have it...there wouldn’t be much in it. How about the girls, you got a pretty good view of Tania Robinsons career? She was dominant for years in New Zealand. Its hard to say whether she lived up to her potential internationally. Given our circumstances, yes she did amazing, if she was Scandinavian, then probably not. It is hard to imagine anyone in NZ orienteering ever reaching their true potential in NZ given our resources. Any really talented NZ orienteers that never quite got where you thought they might? Phil Wood, never ran a World Champs, he was there at a time when there was good depth. Dave Farquhar was a great navigator, so was Bruce McLeod. Who knows why it didn’t happen for them, it would have been good to see them go on and do more. Jason Markham was a huge talent as well. So post 2005, it was really just a case of priorities, economic priorities? Yeah pretty much, getting mortgages, doing some work, not dreaming about orienteering all the time. I would have focused more on physical training, cross country, road, etc. In hindsight I would have trained more like a runner. Having started orienteering when I was 9 and coming up through the system I had a good technical grounding, and in NZ we have a good variety of terrain types to get a good spead of navigation skills. Maybe in hindsight I would have invested in the Garden sports betting empire. Then maybe I could have afforded to do a few more trips to Europe. Also the Akld property market in the 90’s…. Apart from your competition, any character that stick in your mind in orienteering, people that have helped you on the way and inspired you. Garden, he has helped so many, and is such a positive, encouraging force. How about maps in New Zealand, where have you loved orienteering? Anywhere that’s not boring rolling farmland. Sand dunes, Wood hill, Waitarere, the more complex the better. It’s a shame the epic areas aren’t around anymore; Tyger Country, Ngamotu, Crater Block, Mamaku. How about these new guys coming through, how good are they? They are certainly getting the results. They certainly have the potential to help lift us up another level as a nation. I expect they might head off overseas, if so, they may achieve great things as individuals but that won’t necessarily help the overall elite standard. Figure out a way to work 8 months of the year in NZ, and race 4 months in Europe. Matt has proven you don’t have to live in Europe to be a World Champion. Lizzie has shown that you can achieve at a really high level while living in NZ as well. The young guys are running better than anyone ever has for their age in New Zealand this is a tribute to their commitment, the system, the opportunities they’ve had and the people that have supported them. I would like to Mention Nick and Matt have both experienced the Hillary Challenge, that’s why they are so tough. Yeah well we definitely have numbers, and there are potentially more winners..its a good thing. The sport at the junior level has been doing well. Nothing new, we need to keep focusing on how to develop a strong domestic competition and improving our transtasman competition. Certainly in the past the very top Australians were close to World Class in their own terrain, this meant we can get a World Class race without going all the way to Europe. We need to get tougher on WOC selection, but this may naturally happen with the new rules. We need to keep on growing numbers in schools. We need to be innovative. There is no reason why there couldn’t be 10,000 orienteers doing urban races every week - without the expectation of doing OY’s. forest races etc. We have never encouraged people to do orienteering just for the love of it, in areas that are close to home and accessible.